*If you do 30 squats first. 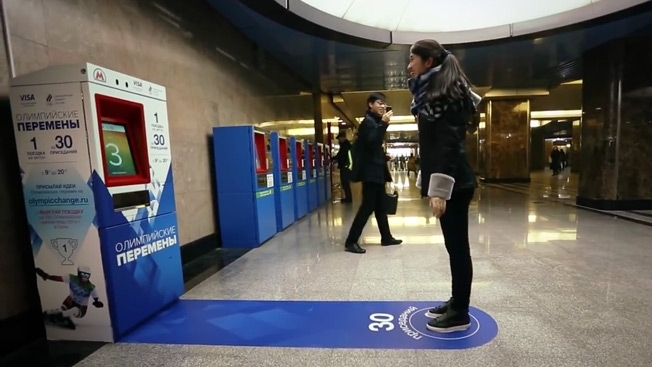 Specially designed ticket machines in Moscow are awarding free rides to those willing to do 30 squats in public. The stunt was created to raise awareness/excitement for the 2014 Winter Olympics being hosted in some town called Sochi (which we've confirmed is also in Russia).